Venus in Aries – Venus is the planet that represents the feminine. It is the energy that indicates how we are in physical appearance and in our love life. That is why it is important to know its positioning on the birth chart. Get to know more about how Venus in Aries is. Mars is the ruler of Aries and fire is its element (just as Leo and Sagittarius). While Mars represents the masculine side we all have, Venus is the opposition with its feminine energy. So this combination is interesting when it comes to the language of love. The image of the warrior is also symbolized by Mars. This means that people who have Venus in Aries wear this character in terms of love. Every beginning of a new love relationship is like a battle, which they take pleasure in fighting. They will usually be attracted to difficult people because they like a path full of obstacles, but one that lead them to victory. They will have initiative and will not be afraid to receive a “no”. In fact, it will be a negative response giving them even more energy to continue fighting. The positioning of this Venus also gives a look of “Don Juan” to people. They feel this almost uncontrollable need to conquer and seduce everyone. This does not properly mean that they are unfaithful, but that they always need a newness in the relationship. As if they had to conquer the same person every day. Remember the movie “50 first dates”? It would be a great analogy for Venus in Aries. The bad part of always wanting something new happening is that in one way or another, we all live a routine. We can say that we even need it for the growth and strengthening of a relationship. In the case of Venus in Aries, there is a tendency to not value security. They are people who, after seeing that the other has already been won, may lose interest. When singles are those who fall in love at first sight each week. As they throw themselves with everything they have into a new relationship, the excitement for the new blinds them. So, they can not really feel if that person is compatible to them or not. It is not uncommon to get involved with the wrong people. In physical form they are vain because they also use it as a weapon of competition. If they notice that there is another one disputing the attention of the desired person, they will like it. They will be even more determined in the conquest and will shoot from all sides to hit down the target. Venus in Aries makes people unique and bold, the kind that will draw attention to their presence and will never go unnoticed. They are social beings who have a positive attitude. Generally, they are full of charisma and those that move a group of people with their energetic expressions. In intimate relationships and in bed, they will be very ardent. They will walk to great lengths to reach their pleasure. 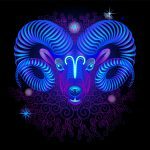 Aries is usually a very generous sign, so they will not tire until give pleasure to the other too. But the paradox is that when they get angry, they can become the worst of the selfish. Venus in Aries does not like to be annoyed and if this happens, expect very untimely reactions. Their impulsiveness should also be controlled because they will be capable of actions under the anger and that will hurt the partner. And since pride is another facet of this Venus, they will have difficulty apologizing looking in the eyes and with words. As such, they will offer flowers, gifts or even act as if nothing had happened, hoping to see if it works to repair the damage done.